Azamara Club Cruises® is the new, up-market voyage experience for discerning travelers who long to reach out-of-the-ordinary destinations and indulge in amenities and service unparalleled on the high seas. The unique offerings of Azamara are beyond compare: butler service is provided in every suite; our shore excursions (we prefer to call them Land Discoveries®), are designed to let guests become part of the fabric of life in each destination, instead of merely being an observer; our enrichment programs offer everything from culinary to photographic explorations; our two specialty restaurants provide the finest cuisine at sea; live entertainment can be enjoyed nightly; and the level of personal service offered is unmatched. Azamara Club Cruises consists of two intimate ships, Azamara Journey® and Azamara Quest®. Each can carry 686 fortunate guests to discover the hidden corners of the world that larger cruise ships simply cannot reach. In addition to offering a more personalized experience, our ships have recently undergone a $17.5 million revitalization including new European bedding and soft goods, flat screen televisions, new veranda decking and furniture, and wireless internet service in all staterooms and public areas. Plus, 93% of our staterooms offer ocean views and 68% have a private veranda. 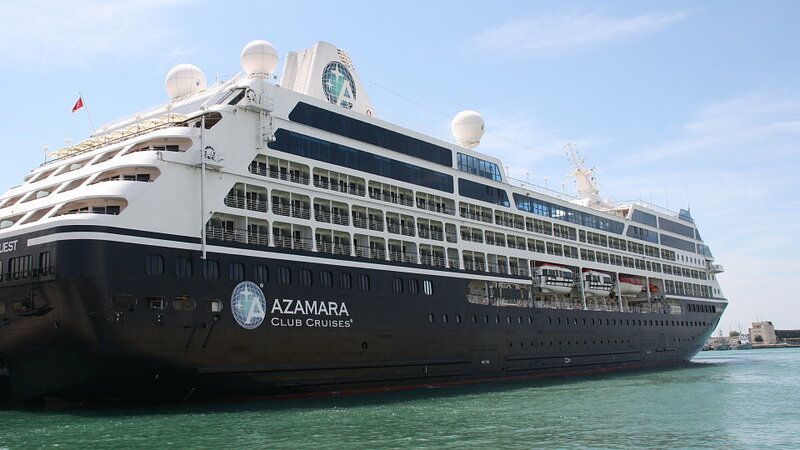 You may be wondering where the name Azamara comes from. Azamara is a coined term derived from the Romance languages. This includes the more obvious links to blue (az) and the sea (mar). The name was also inspired by a star, Acamar. In Classical times, the star Acamar was the most southern bright star that could be seen from the latitude of Greece. We think of Azamara Club Cruises as a star on the blue sea. We love the flowing name that conjures up the imagery of magnificent journeys around the world. And we look forward to sharing these voyages with our guests.